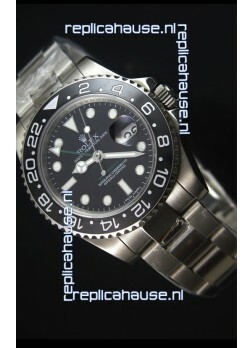 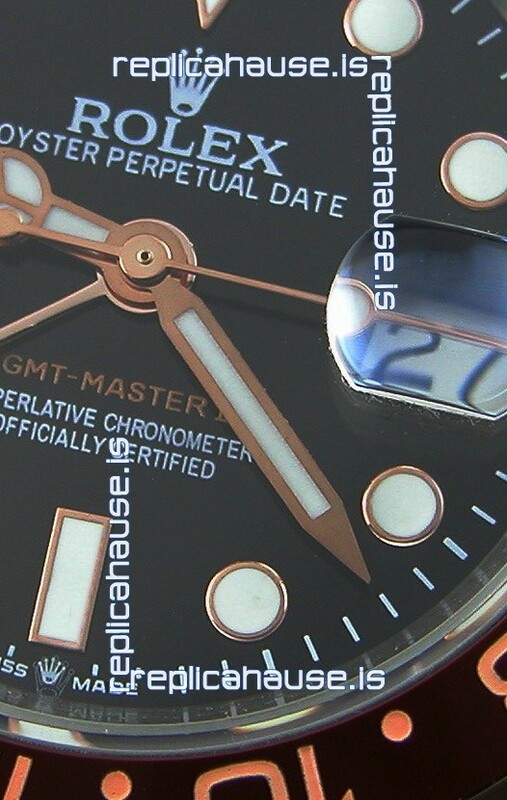 The Best Rolex GMT Masters II Watch up to Date in 2018 - Compared with an Original Side by Side and there were NO Differences Whatsoever. 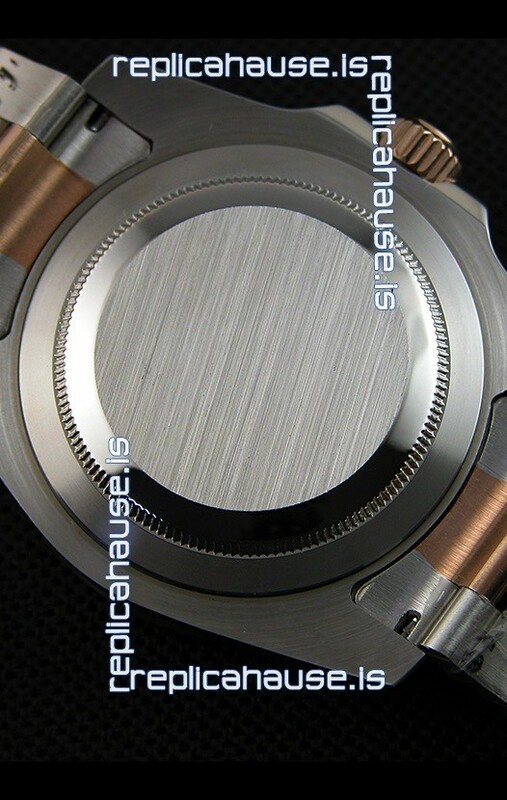 Complete list of details have been stated below and you will see that tremendous amount of detaiing and work has been put into this edition. 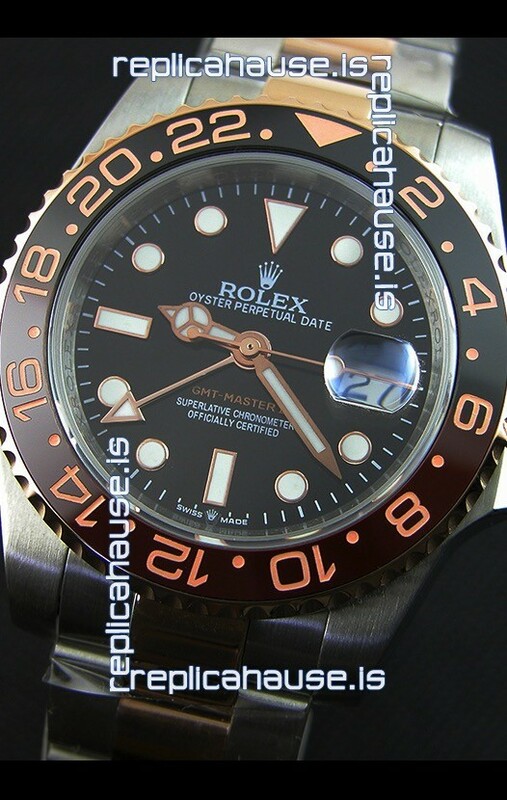 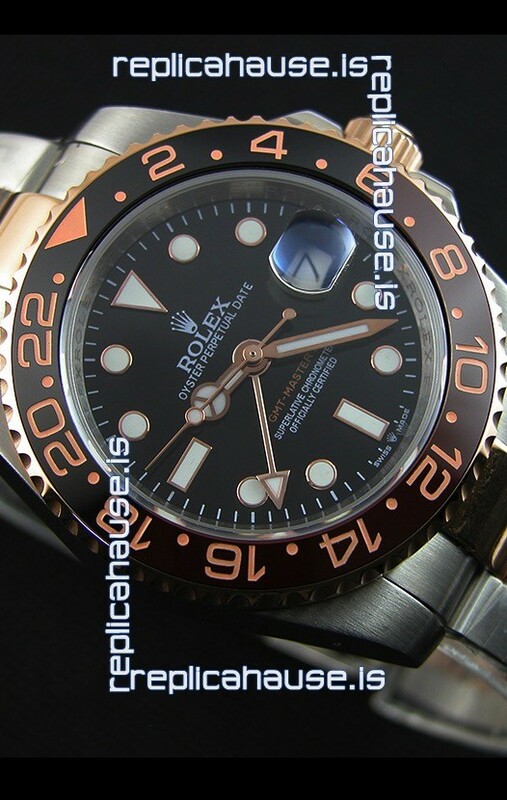 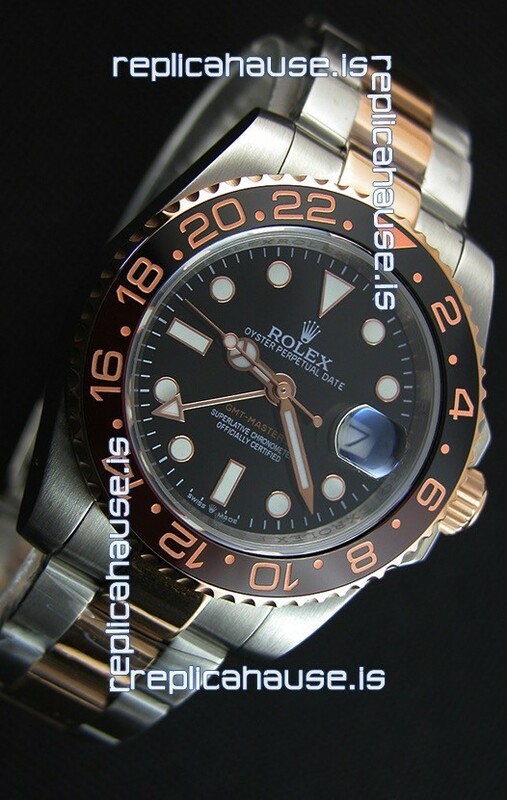 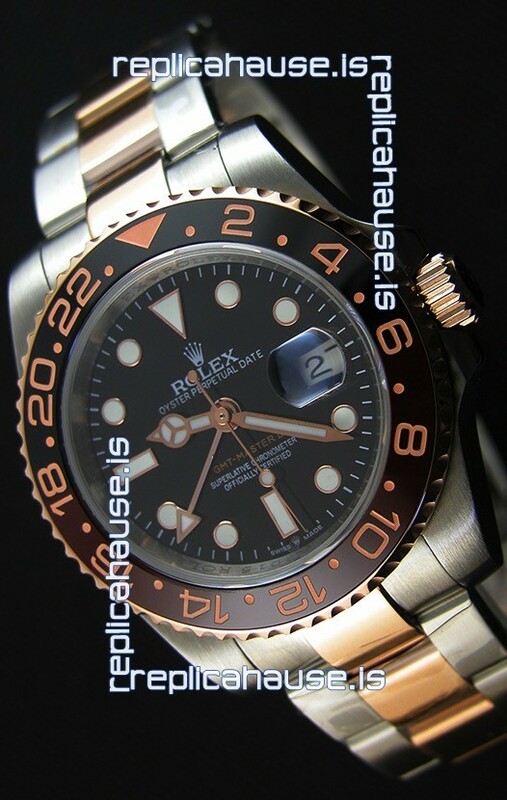 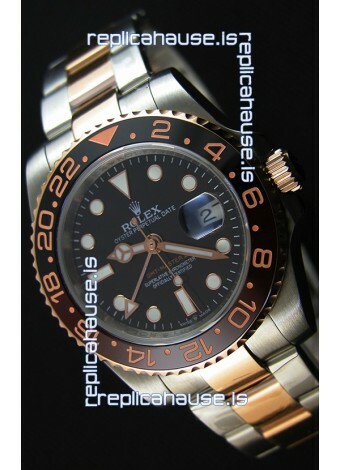 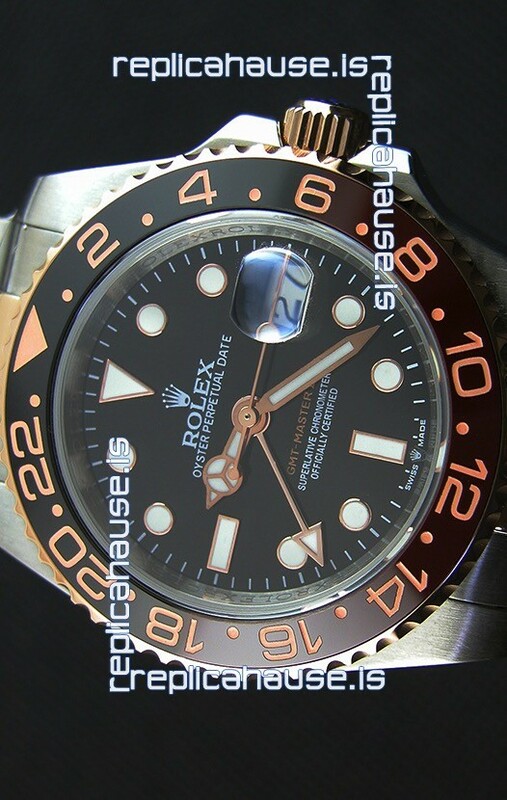 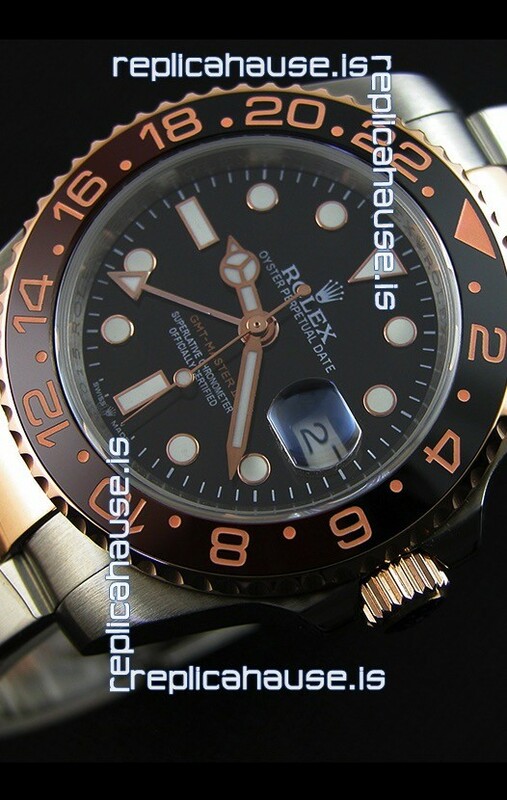 Bi-Directional Bezel with Black and Brown Cerachrome Inserts with Updated Crisp Font over all previous versions. 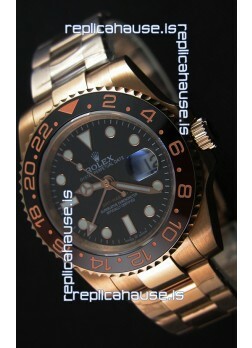 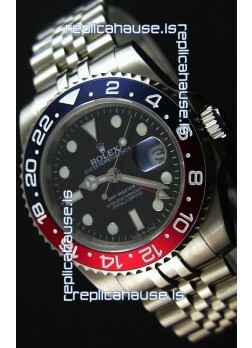 New Bezel Inserts has platinum coating applied to Dive Markers. 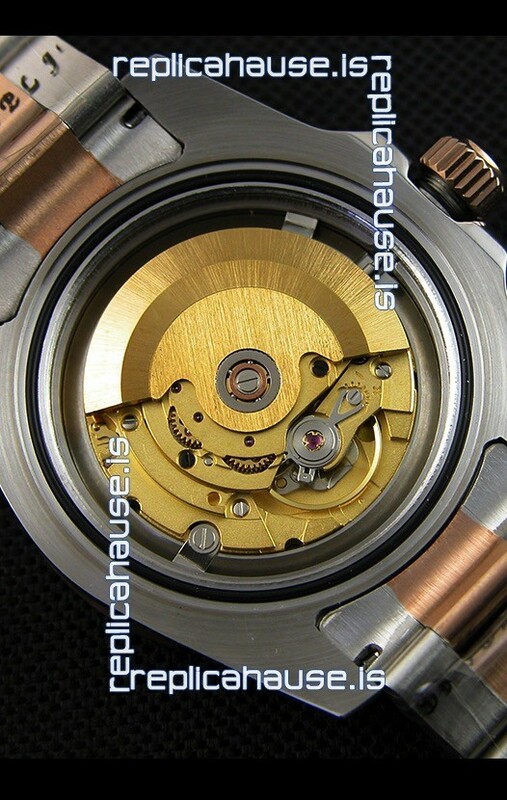 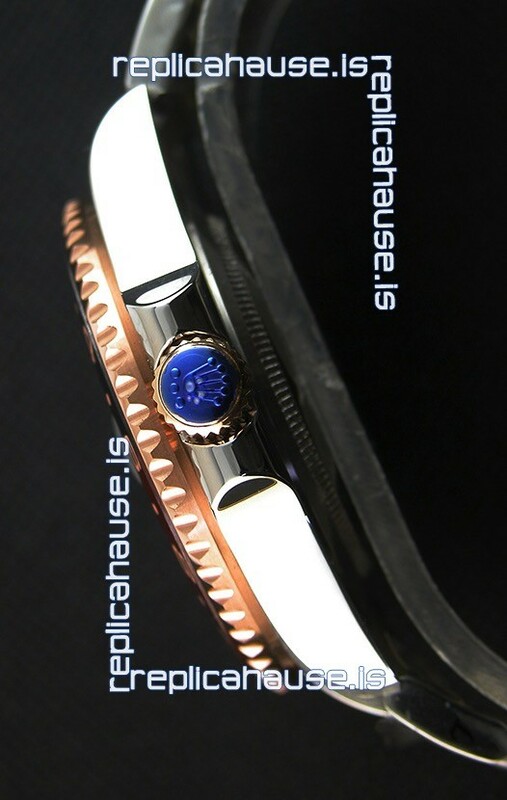 18K 10.0 Microns Thick Two Tone Gold Plating on 316L Stainless Steel Strap linked wieth screws, the best bracelet manufacutred up to date for the GMT Series with Flip Lock Style Clasps complete with Rolex Markings and Engravings. 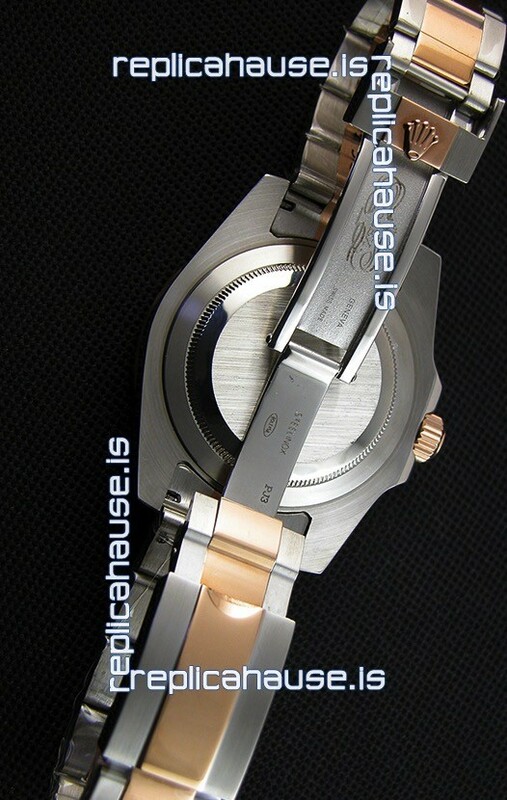 2MML Lug Spring Bars with rounded heads exactly like the Original GMT Watch Straps.